Give your kids the chance to hand feed ( from a bottle ) baby lambs and toss grain to the free ranging chickens. By joining in these morning chores and learning about organic farming, they can earn the “Official Weatherbury Farm Kid” designation. Discover how the owners of this 100-acre, idyllic spot near Pittsburg, focus on using integrated techniques to manage their sustainable farming operation. You’ll stay in historic buildings and of course, dine on farm-fresh taste treats. Mary Jane’s Farm. Moscow, ID. Check into a stylish wall tent on Mary Jane Butters’ farm and the worries of the world will melt away. Gather your own eggs for breakfast. Pick vegetables you’ll enjoy for lunch. Visit the library housed in a barn. Burn calories helping out with farm chores. Relax in the outdoor living room area nestled in a grove of plum trees. Go for a hike or play cards or board games. Later get clean in the outdoor tub or showers. Leaping Lamb Farm. Alsea, OR. Stow your technology and get to know this charming farm, the animals and the folks who run this 40-acre homestead in Oregon’s Coast Range. Enjoy a leisurely family breakfast in your cozy cabin that includes local eggs ( yep, right from the farm ) and other fruits, breads and cereals. Find your way to the orchard to pick apples, pears or plums. Lend a hand in the greenhouse and garden or learn about raising lamb and Heritage turkeys. Visit the horses, admire the peacock and make time for a hike or bike outing on neighboring trails. Your kids can pal around with the pigs, goats, chickens and ducks and learn about organic farming. Gather the family to help out with the chores on this 63-acre spread or simply relax and enjoy the natural environment. Check out the starry night sky before falling asleep inside the luxe platform tents, each decked out with braided rugs and colorful quilts. 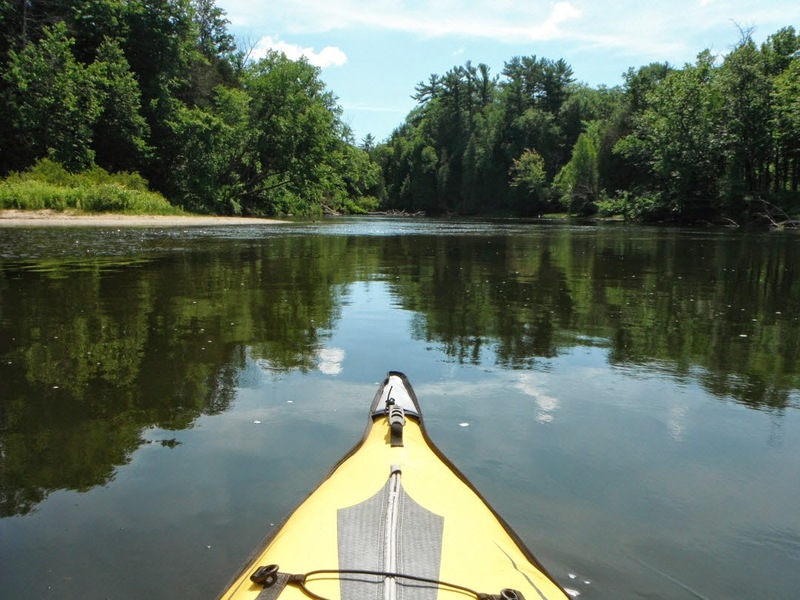 Consider a visit to nearby lakes for kayaking, swimming or canoeing. Also, Acadia National Park is within an hour and a half drive. The Inn at Celebrity Dairy. Raleigh, NC. It's an eight-room, Greek-Revival farmhouse an hour southwest of Raleigh, rewards early risers: At 6 a.m., the five dozen goats are milked, and soon after, guests dig into award-winning cheese and eggs from the inn's free-range chickens. For a day, a weekend or a week, leave civilization behind and challenge yourselves on the whitewater. Take the rustic approach and camp along the river’s edge. Or float by day and snuggle in at the lodge overnight. 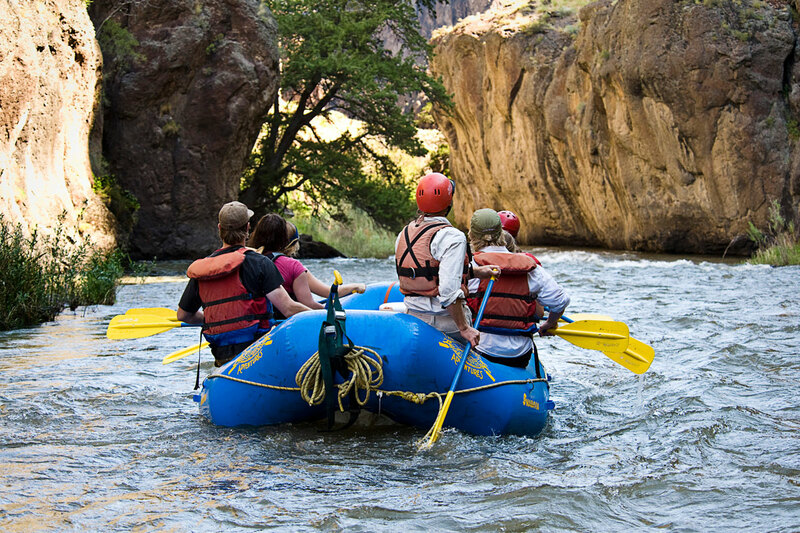 Middle Fork Mastery, Sun Valley, ID -This is no ordinary river adventure. 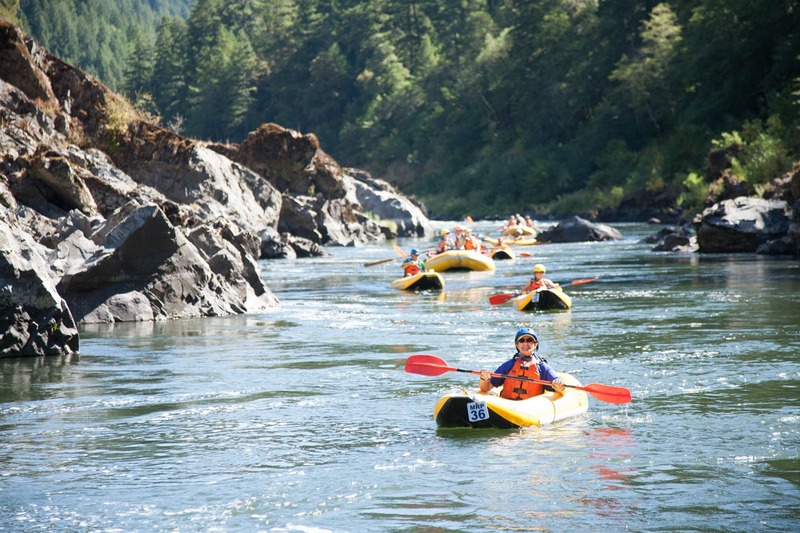 Families will bond on the river while enjoying fly fishing, rafting, kayaking and hiking along the famed Middle Fork of the Salmon River. On your personalized vacation enjoy unexpected luxuries including massage in your chalet tents enhanced by carpets and elevated beds. Dine on organic seasonal fare prepared by a top Sun Valley chef. The outfitter’s American Safari concept promises five star services in a superb natural setting. Contact: 1-832-755-7661; www.far-away.com. Salt River Treat. Near Fountain Hills, AZ. Enjoy the surprising contrast of stunning Sonoran desert beauty as you float south via your raft, kayak or tube on the Salt River. Saguaro cactus stand guard along the shoreline, hawks soar overhead. Richly hued canyon walls rise from near the water’s edge. During the winter months bunk in at the charming Saguaro Lake Guest Ranch, a family run operation that recalls the western charm often depicted in cowboy film. Saddle up at the ranch and explore the nearby landscape. Contact: 1 (480) 984-2194; www.SaguaroLakeranch.com. British Columbia Waterways. If you and your family are looking for a remote river experience, consider the pristine waterways of British Columbia. Choose from hundreds of rivers including the Tatshenshini, the powerful Stikine, the Gataga or the historic Campbell River on Vancouver Island. Teeming with fish and wild-life rich, expect natural bounty. The British Columbia Outfitters Association provides information about trips available in the region. Contact: www.BCROA.com.